It looks remarkably like a cannonball with a handle and dates back to 18th-century Russia. Meet the kettlebell. Used consistently over centuries by the Russian military, this unusual object has shrugged off its iron curtain image and reinvented itself as the trendiest new fitness tool. Kettlebells chime well with the boot camp ethic that has sweated its way through the workout world. Tough, uncompromising and apparently offering miraculous results, it's no wonder they are flying (well, being lugged) off the shelves. Celebrities love them and it's not just macho types like Sylvester Stallone and Matthew McConaughey, but the likes of Penelope Cruz, Jennifer Aniston and Geri Halliwell. Top football clubs Chelsea and Liverpool factor them into their training and physiotherapists use them regularly in rehabilitation. On the face of it, the kettlebell isn't terribly impressive. So, what's the difference between swinging a kettlebell around and hefting barbells or free weights? 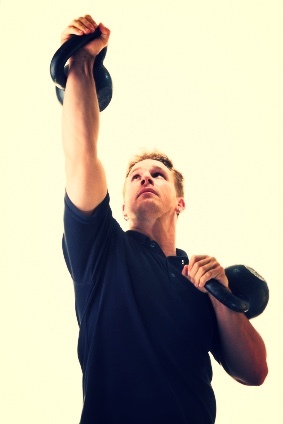 Unlike a dumbbell or barbell, the kettlebell's centre of mass is offset from the handle, this means the weight constantly pulls against your hand and requires not only strength and co-ordination, but also the use of the other muscles through your arms, shoulders and your core stabiliser muscles. You use around 600 muscles in a workout and exercise your cardiovascular system, too – it's definitely a total body workout. 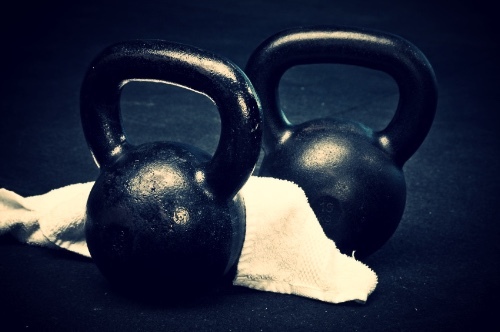 You don't have to be super strong to train with kettlebells. They come in different sizes and weights, starting at 4kg and going right up to a muscle crunching 48kg. Unlike standard weights, which are lifted carefully and slowly, kettlebells are flung around with seemingly gay abandon. You swing them, pump them and pass them from hand to hand. It's a monster workout and some trainers reckon an hour of kettlebells will shed a mammoth 1,500 calories (compared with 300-400 for normal weightlifting or an aerobics class). 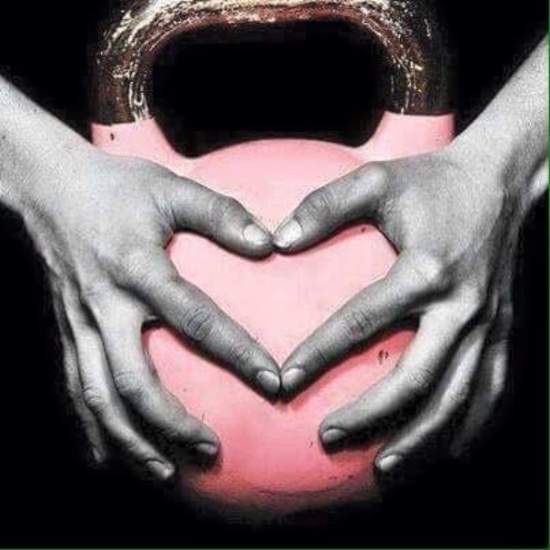 A kettlebell class will supercharge your fitness and melt your unwanted fat, you'll bust your belly fat, lose your love handles and feel fantastic, energised and strong. Keep it up for 30 days and ladies, you can drop a dress size. Inevitably, there are some risks involved with kettlebells, as there are with any free weights. But these can be minimised by having proper instruction. Once you've learnt good technique, though, the training can actually help prevent injuries. "Learning to move and lift properly carries over into daily life." How will I learn the techniques? 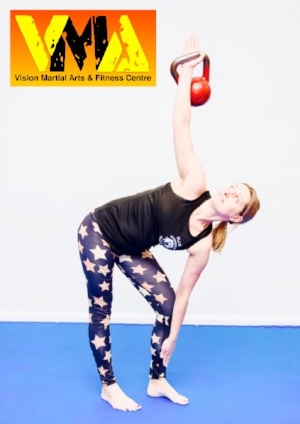 The first 10 minutes of the class will concentrate on warming up the body and walking through the technique using an air bell (pretend kettlebell). We will ensure that your technique is correct and you can always go back to using the air bell to correct the technique anytime. If at any point you feel faint or that your grip is going you must stop what you’re doing straight away, rest and drink some water. Everyone will be asked to complete a fitness questionnaire before starting and anyone unsure of whether they should use kettlebells should seek advice from their GP. Just usual gym attire or shorts and a T-shirt, bring a towel, if you have any weight training gloves you can bring them and finally, bring lots of water! PLEASE ARRIVE 30 MINUTES EARLY FOR THE INDUCTION IF IT'S YOUR FIRST TIME. YOU WILL BE ASKED TO RETURN TO THE INDUCTION REGULARLY UNTIL YOUR TECHNIQUE IS AT A GOOD LEVEL.